Design Comfort, Inc. was founded in 1988 by Robert Heuser. He started out on his endeavor with his nephew, Greg Heuser and a few other employees. Soon, the company was thriving allowing him to bring on additional installation crews and service/preventative maintenance technicians. Over the years, Greg worked very hard to grow his knowledge of HVAC. He quickly advanced through the ranks of the company, starting off as an Apprentice, graduating to Journeyman Installer, and eventually Service Technician. In 2000, Tara Bowen came on board as Office Manager. Growing up in a family who owned a small residential HVAC company in Ohio, Tara was well qualified for the position, already having the experience and knowledge to hit the ground running. She was a great fit and this made for a very smooth transition. After nearly 20 years of business, Robert was preparing to retire. Greg and Tara rose to the occasion, taking over the responsibility of the day-to-day operations. Finally, in 2012, Greg Heuser and Tara Bowen joined together to purchase and eventually restructure Design Comfort Heating & Air, LLC. Today, the company continues to operate with the same integrity and business model that has made it so successful over the years. 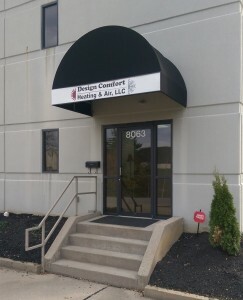 Design Comfort Heating & Air, LLC provides heating, ventilation and air conditioning for commercial and light industrial facilities throughout the tri-state area. Our experience ranges from warehouses, manufacturing plants, churches, retail centers, office space, and more. We continue to strive to provide the best quality products through installation, preventative maintenance and service that customers can rely on. Being owner operated, our customers can have confidence in building relationships that will last. Whether they need us next season or next year, we’ll still be here.